From the Berry & Thread Collection- Adorned in Juliska’s rich basket weave motif and capped with an Ash Wood lid that keeps necessary supplies at your fingertips, yet under wraps. Great for your kitchen, bathroom, and office. All natural! No artificial flavors! 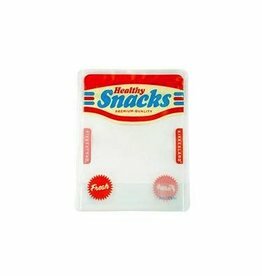 Store your favorite healthy snack in these 8oz/235ml retro zipper bags. Dishwasher safe and leak proof. Set of 4. 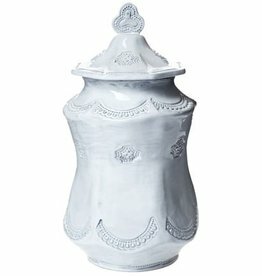 The Incanto lace large canister is handmade of terra marrone clay in Veneto, Italy. 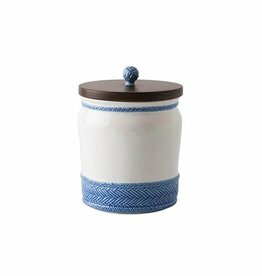 You'll love the sweet lace details of this classic canister. 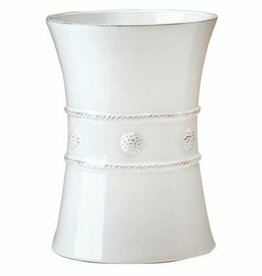 We also offer Incanto canisters in small and medium sizes to create a set that makes a statement. Perfect for to your kitchen or bar, this galvanized metal canister is accented with a copper band for an industrial luxe look. Great for storing all kinds of things like headphones, paper clips, etc. All natural! No artificial flavors! Store your favorite healthy snack in these retro zipper bags. Dishwasher safe and leak proof. Set of 4. 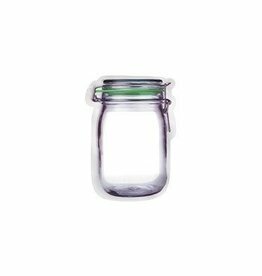 Store your sugar in the Lastra White Medium Canister. Zucchero, meaning sugar in Italian, beautifully transcribed on the front of this piece brings Italian flare to your countertop. 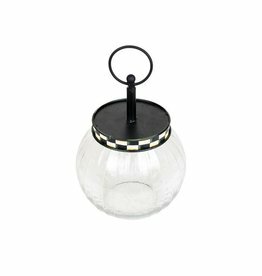 Pair with the other Lastra canisters for a look of simple sophistication. Turn tea time into an underwater adventure! Our seafaring UNDER THE TEA infuser bobs in your cup, brewing loose tea leaves to perfection. 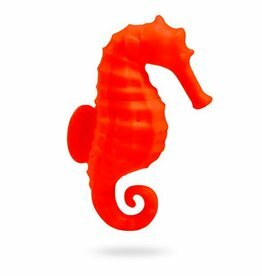 It's molded from pure BPA-free silicone. 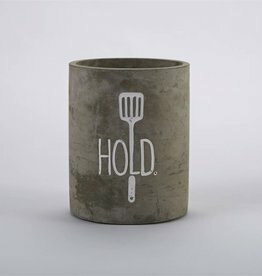 Etched concrete crock holds kitchen utensils for display. Adorable in your kitchen! 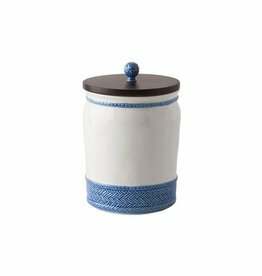 Inspired by the French basket weave often found in equestrian and nautical traditions, this canister features a beautifully hand-painted Delft Blue herringbone base, and is topped with a wooden lid.